1. Imported COB LEDs make high brightness lighting. 2. Low voltage protection, high precision constant current driver chip. 3. Easy installation: Plug & play. 5. High brightness lighting, COB LEDs. 6. Special powerful two ball fan with 12,000RPM which accelerate the cooling rate. 1. Due to different producing batches, product details might be a little different. 2. Please allow 0.5-1cm differs due to manual measurement. 3. Due to the different display and different light, the picture may not reflect the actual color of the item. 1. Only the H4 have the high low beam, other type in single high beam. 2. Only the H4 type in 3 SMD, other type H7, H11 , 9005, 9006 are in 2 SMD. 3. Universal, fit for most of cars on market. 4. 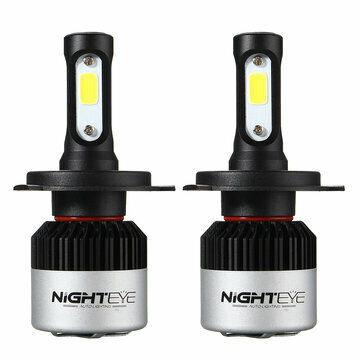 If you want to buy a high&low beam headlight for your motorcycle, you should choose the H4 headlight. These lights look stunning on my CIAZ. Value for money bought 3 pairs ( highlowfog) produces great white light. High beam is amazing low beam is average.